I am showing my new purchase: it is defined by the seller as a generic raptor tooth which comes from Kem Kem Morocco. First of all is this identification right? Secondly is it possible to specify more in detail the species? @Troodon MIGHT be able to help. It is not a raptor tooth. It is an Abelisaur tooth. So did Abelisaurus live in Morocco? Period? Not the genus Abelisaurus. But there are definitely Theropods from the Abelisaudiae family in Morocco. Not a lot is known about the species of Abelisaurid that lived in the Kem Kem beds. 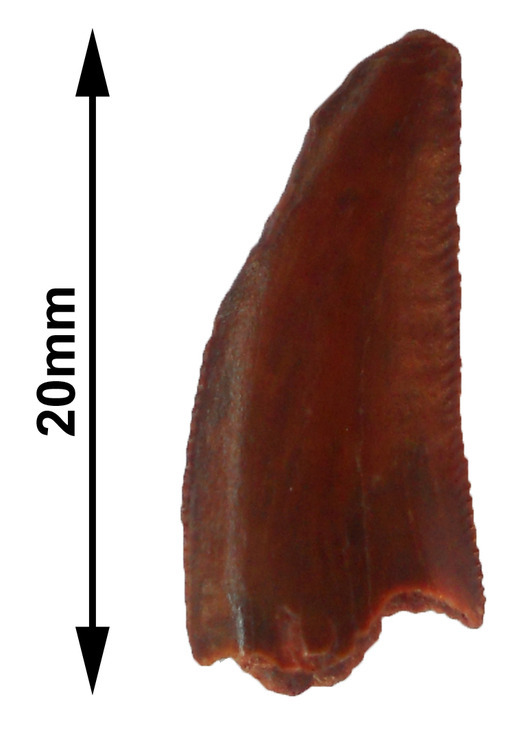 So far it seems that the teeth are very similar to those of the Abelisaurid Rugops primus from Niger. So, I'll follow the suggestion of @hxmendoza and I'll write on the label "Abelisauridae - sp. indeterminate". 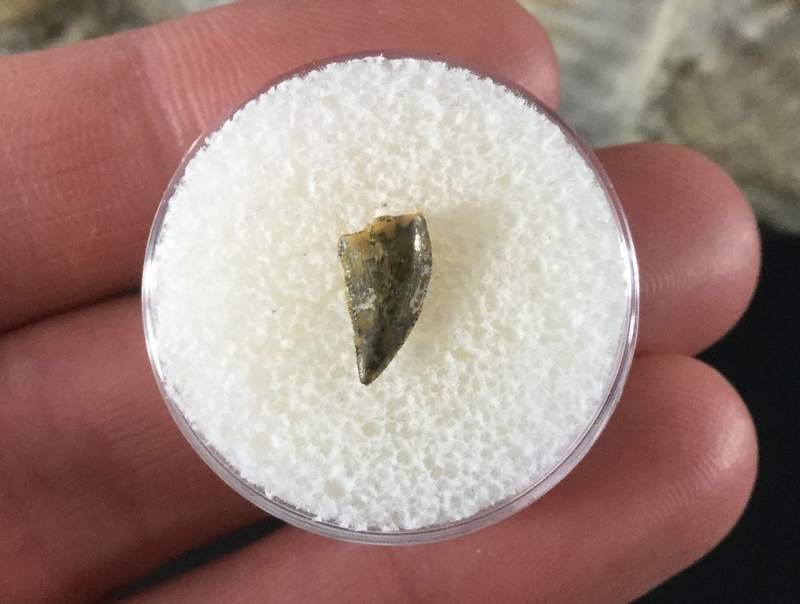 From the same seller there is another (defined by him) Raptor-Dromaeosaur tooth from Kem Kem which looks quite different by the one I posted before. As I am intersted in it, could I ask for a correct identification, please? 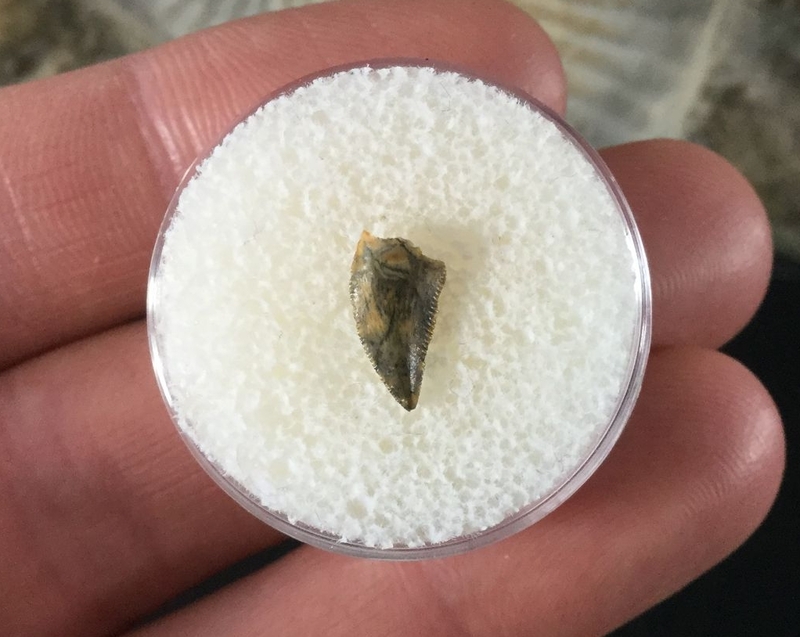 I'm wondering if my Moroccan raptor tooth is actually raptor after seeing this thread. Also an Abelisaur tooth. Just different position in the jaw. Though which genus or species cannot be known as yet. The vast majority of Kem Kem "raptor" teeth are mislabeled Abelisaur teeth. They are, for the most part, small, and have course serrations. So they are called "raptor" teeth by the sellers in order to sell them. True "raptor" dinosaur teeth are the ones from Dromaeosaurs. Dromaeosaur material and teeth are quite rare in the Kem Kem. There are Dromaeosaurids present in Kem Kem. But yes, they are quite rare. 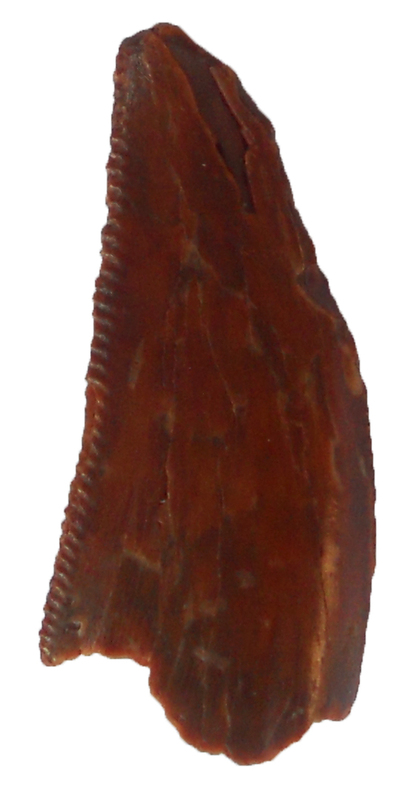 Abelisaurid teeth are much more common.